Lodge is delivered to Tamar View Holiday Park. Central heating & double glazing, 2 bedrooms, 2 bathrooms, Kitchen with built in oven and microwave combi, dishwasher, fridge freezer, lounge dining with large patio doors, utility room, large walk-in cloakroom. 40 x 20 ft.
Download and read the 'Holiday Living' Ultimate Lodges Guide featuring Tamar View Holiday Park by Clicking Here (pdf). Click here for more photos of the Tamar View Holiday Park Open Weekend. There will be an Open Weekend at Tamar View Holiday Park in Cornwall on Saturday 23rd to Sunday 24th April 2016. The park will be open to all visitors from 10 am to 4 pm on both days. Come and take a tour of the park, see the stunning views across the Tamar Valley, and take a look around any of the holiday homes for sale. There are luxury static caravan and lodge holiday home ownership opportunities. You can see a list + photos and prices of the holiday home available here. For more information about the Open Weekend, or any of the holiday homes for sale call 01752 842318 or email info@notterbridge.co.uk. Whole Page in January's "Park Home & Holiday Caravan Magazine"
Park Home & Holiday Caravan Magazine for January 2016 includes a whole page feature about Tamar View Holiday Park in Cornwall with the headline “A Cornish Beauty!”. You can download and read the article (pdf) by CLICKING THIS LINK. Several holiday homes have been sold already at the newly developed Tamar View Holiday Park in Cornwall. 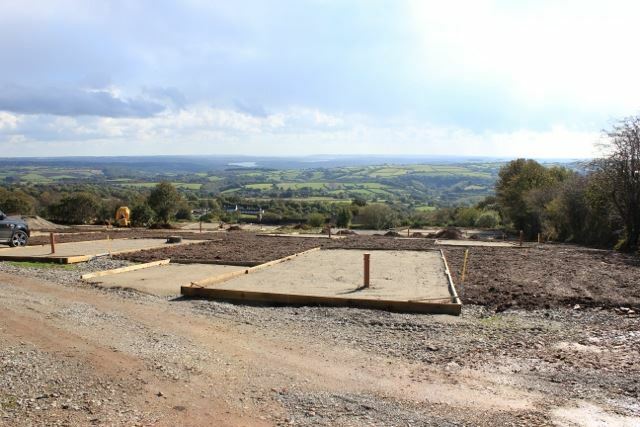 Here are some new photos showing the fantastic views from the new holiday homes there. For more information about all of the new luxury static caravans and lodges for sale now at the brand new Tamar View Holiday Park development click here. You can see one of the latest panoramic photographs of Tamar View Holiday Park by visiting the Tamar View page - click here. For more information about all of the new luxury static caravans and lodges for sale now at the brand new Tamar View Holiday Park development click here. The brand new Willerby Clearwater 40 x 20 ft / 2 Bedroom Lodge for sale at Tamar View has just had a fantastic new sun deck installed. Click here to see the latest photographs. For more information about all of the new luxury static caravans and lodges for sale now at the brand new Tamar View Holiday Park development click here. There are some great new photos taken inside the new holiday homes now on their piches at Tamar View Holiday park. You can get an idea of just how amazing the views are across the Tamar Valley. Click here for the photos of the Willerby Avonmore, and click here for photos of the Willerby Clearwater Lodge. We recently posted some before and after photos of Tamar View Holiday Park on the Facebook page. Scroll down to the post on the 21st April. More new carvans and lodges are now arriving at Tamar View Holiday Park. You can see 3 new photographs by clicking here. You can see the makes, models and prices for the first of the new caravans and lodges by clicking here. 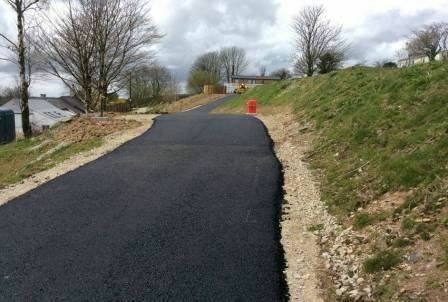 Thre are now some new photos of the brand new Tamar View Holiday Park development here on the website. As you will see the pitches are completed and the holiday homes are now being sited. A list of the holiday home now available to purchase can be seen here. A photograph of some of pitches at the newly developed Tamar View Holiday Park was featured this week on the official ABI Holiday Home Facebook page. The post asked which ABI holiday homes people would pick to put on the pitches. The ABI holiday homes that are currently for sale at Tamar View include the The ABI Ashcroft 38 x 12, ABI Hartfield 36 x 12, and the ABI Roxbury 38 x 12 ft. Full details and photos of the luxury lodges and caravans for sale at Tamar View Holiday Park can be found here. 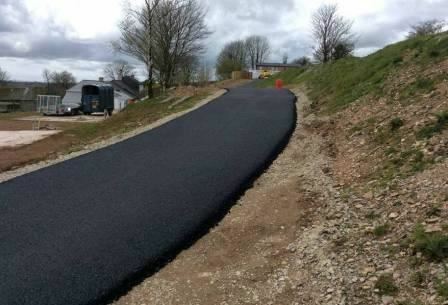 The Tamar View Holiday Park is really starting to take shape now. Click here to look at some of the very latest photos of the park. 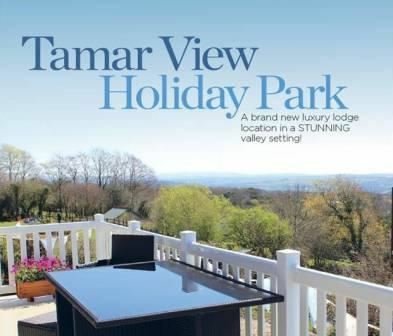 Caravan Industry & Park Operator magazine uses Tamar View Holiday Park development in its "Focus feature" Park Planning. CLICK HERE to read the whole article. Following months of negotiations with planning authorities over the development of Tamar View Holiday Park, we are pleased to announce permission has been granted to proceed with the whole development of the new luxury Holiday Park over looking the Tamar Valley and Saltash. Watch this space for further developments of luxury holiday homes and lodges for sale in this enviable position on the Devon and Cornwall border. With the weather finally changing for the better, Plant Hire company D.P. Curtis & Son Ltd finally began moving heavy earth moving machinery back onto the site and continue clearing and excavating the foundations for the road crescent at the bottom of the site. The Park at Callington, which is our second Park in Cornwall, will undergo a full redevelopment and when complete will be offering for sale a range of deluxe Holiday Lodge accommodation.